We have spent many happy hours there, usually in the company of lots of mums, dads and kids from school. 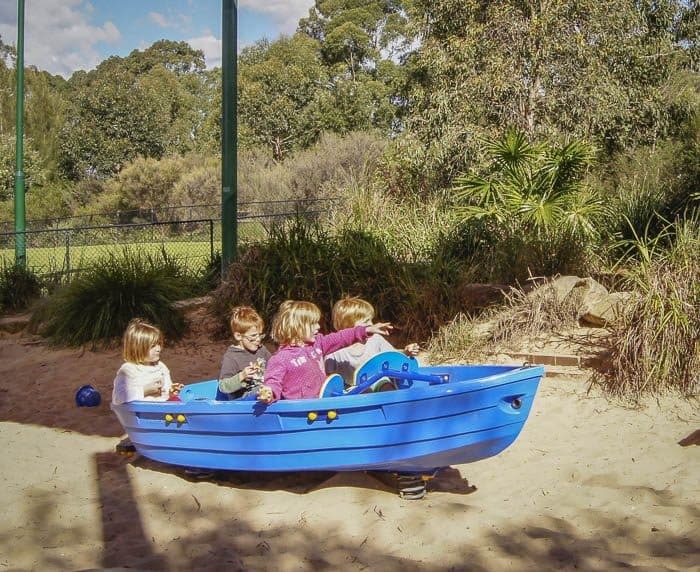 There is so much space and such a great variety of equipment that it suits kids from 0 – 15 years… and beyond! There are so many things to do here that you won’t know where to start! 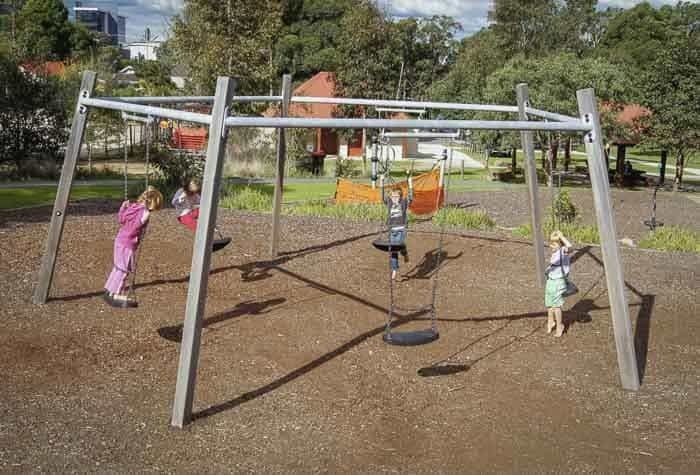 This play area and park is designed to suit every member of the family, even the dog who can bound and bark in a fenced-off dog exercise area. Older children can bring their radio control cars to play in a dirt track area. Our under fives have got plenty of equipment to choose from, including some lovely swings and an excellent set of play equipment. There is a dry creek area for imaginative play, this area has a huge sand pit and climbing equipment which is pretty challenging. 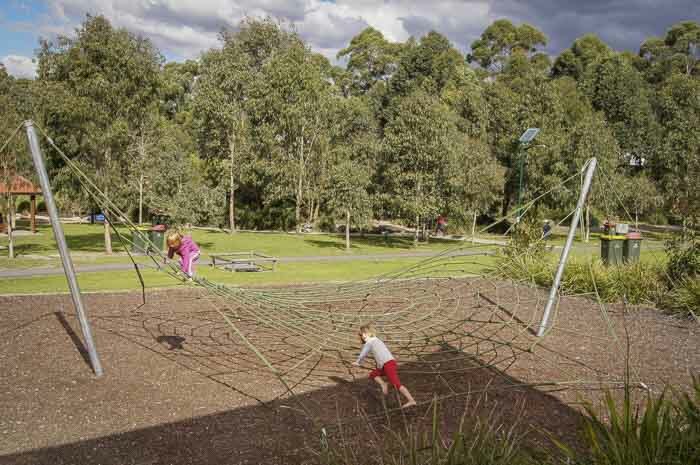 A play area for older children has a spider’s net and a challenging flying fox. 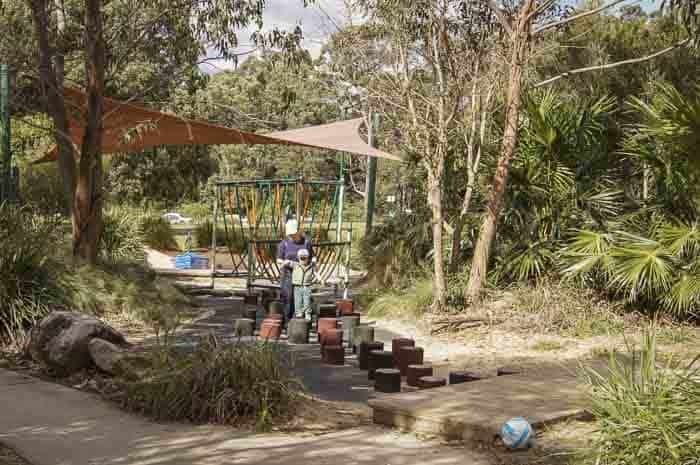 There is a toddler playground area too with simpler play structures and rockers. 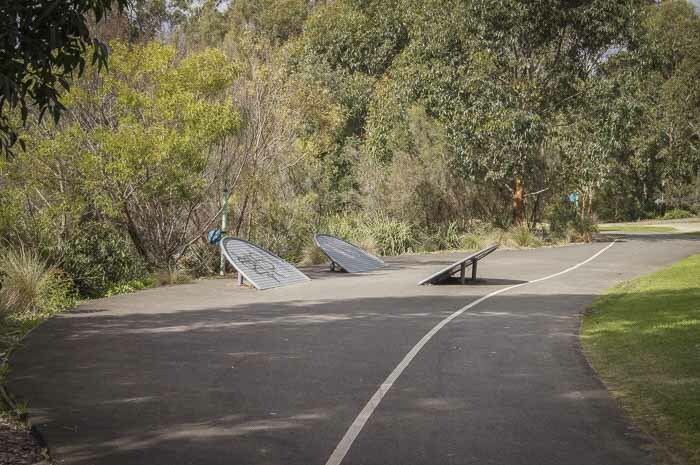 There is also a good bike track alongside the dry creek/sandpit area. There are BBQs, picnic tables and shelters, and a lovely open grassy area for ball games and spreading out whilst the kids play. Enclosed: No, this is a very large area which is partly fenced, but not completely so care needs to be taken especially around the carpark. Mum’s report: It’s sensational! 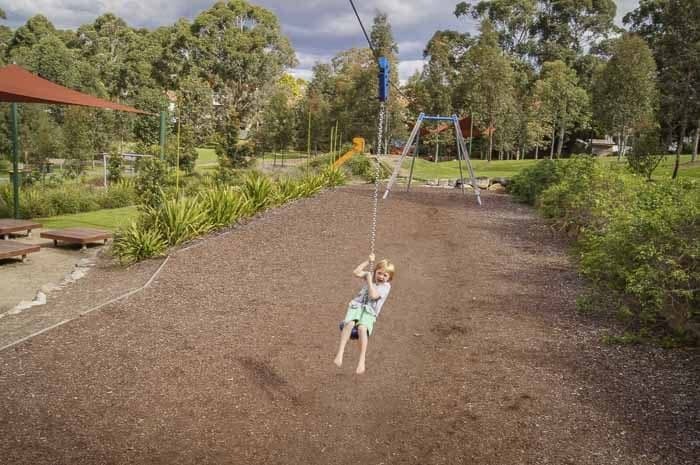 There are bike tracks, a flying fox, an area for using remote controlled cars etc. 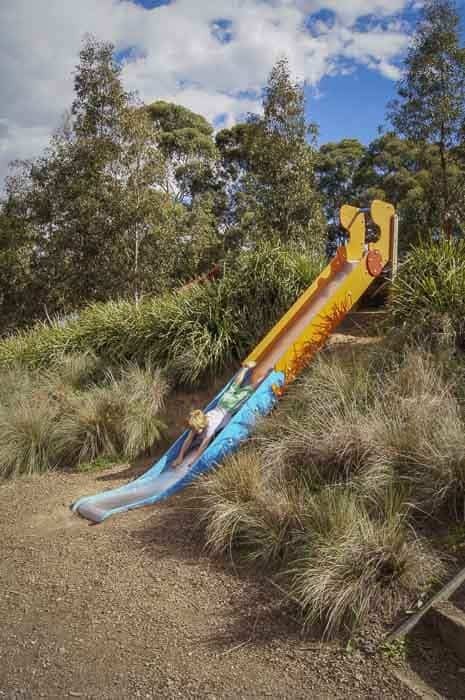 You can come here for a good long time, enjoy a picnic and be guaranteed to wear all the kids out. 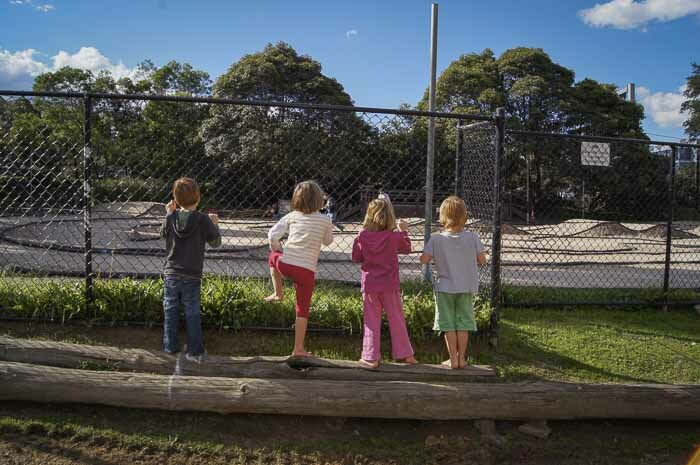 Where’s your favourite Sydney playground?